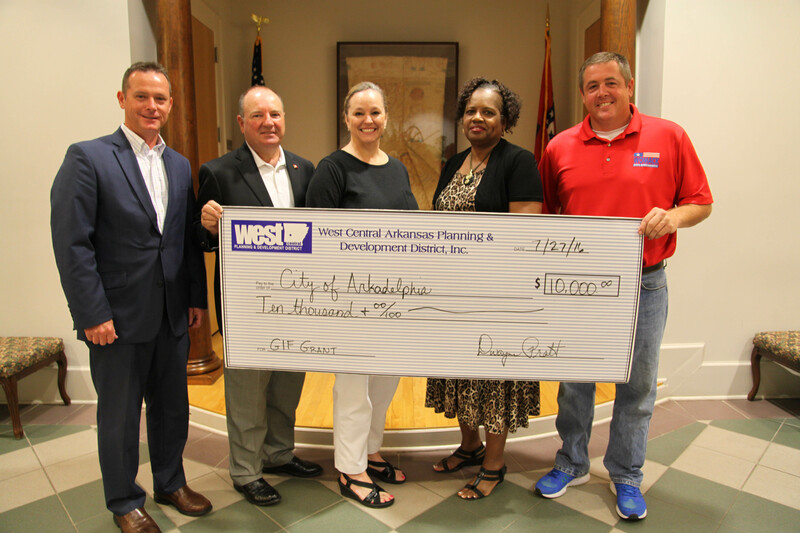 State Representative Richard Womack, State Senator Bruce Maloch and Dwayne Pratt, executive director of the West Central Arkansas Planning & Development District, presented Arkadelphia Public Schools with a $10,000 General Improvement Fund Grant on July 27. The grant will fund a new set of playground equipment for Peake Rosenwald, Arkadelphia Public Schools’ three-year-old Pre-K program. Peake Rosenwald is home to approximately 40 preschoolers. The capacity of Peake Rosenwald’s current playground structure is 15-20 children. The grant will provide an additional structure with a capacity of 21 children. The requested playground equipment meets the safety standards and is designed for children age three to five.